We live & die by this. My response is pending due to end of the year business, but thank you Suzanne! Or perhaps it would be more appropriate to situate Lundy Martin’s negativity in writers closer to our own era, however no less mythical. In a tradition after the Negritude of Aime Cesaire, for instance, Lundy Martin’s work also journalizes her seasons in hell, making them literal joyrides, where to “go down” evokes literal encounter with one's lovers (women, in Lundy Martin’s case), and with the facts of one’s own gendered-racialized body. And as in Kim, Howe, Cha, and Lorde, in Lundy Martin’s work any coming into voice presents many difficulties, as it involves the presencing of irreconcilable social antagonisms and considerable personal suffering. But whereas Kim et al broach despair through the voices they undertake and inform through their writing, Lundy Martin’s writing winks at its reader knowingly, as though having already passed through affirmation, or being upon a threshold of that moment so central to overcoming—a conversion where “a no becomes a yes,” as Wallace Stevens might have it. That in her poem “Negrotizing in Five or How to Write a Black Poem,” Lundy Martin references the Negritude and Black Arts movements, Third Wave Feminism, femme ecriture, LANGUAGE writing and Susan Bee’s and Mira Schor’s arts journal M/E/A/N/I/N/G, pays homage to a continuum of radical arts communities while working in relation to these cultural formations from a revisionary distance. What, in turn, rears its head necessarily in Lundy Martin’s writing is the specter of various struggles for recognition and liberation as they are given form by singularities—by the particular experiences and percepts of one’s autobiography, their life. 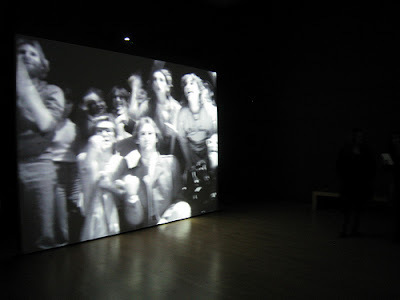 Through Lundy Martin’s work, a work that can neither be said to be merely “experimental” or concerned with identity politics per se (though experimentalism and a politics of identity both inform that work’s authority), a culture work concerned to presence the stakes of particular identities within larger cultural formations becomes simultaneously legible and ambivalent. *all quotations taken from Lundy Martin’s poems “Negrotizing in Five or How to Write a Black Poem” and “Unspeaking”.